Mr. Robot will be back to melt your mind again. According to The Hollywood Reporter, the show has been renewed for a fourth season on USA Network, just a day after star Christian Slater earned his third Golden Globe nomination for the series and just a few hours before the show airs its highly anticipated season three finale. The show was created by Sam Esmail. The writer's room for the fourth season is said to be currently open, although it's hard for audiences to predict what might happen with so much up in the air ahead of the season three finale. 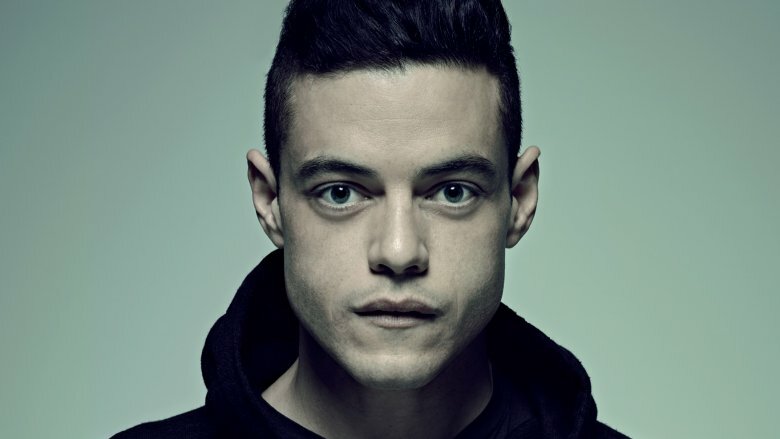 The show has been a critical darling throughout its run, earning an Emmy for its star Rami Malek and other nods for Outstanding Drama Series, Outstanding Writing, and guest actor for BD Wong. Although the show's second season was not received as well as the first, it still holds a 92 percent rating on Rotten Tomatoes, as does the third season. The show has experienced a ratings drop throughout the third season, but it's not entirely surprising that it was handed down a renewal, as the buzzy show has brought a lot of prestige to USA. Esmail previously told THR that he had plans for a four or five season arc of the show. "I've always said it's four or five seasons, and I've said that because I think it's somewhere in between," he said. "Whether that means the next two seasons are two short seasons, or it could technically still be two full 10-episode seasons, we're still kind of figuring that out. It's something the writers' room and I take very seriously. We never want to feel like we're treading water. Hopefully it fits into two more seasons, but we're trying to figure out that number." Portia Doubleday, Carly Chaikin, Martin Wallstrom, Grace Gummer, Michael Cristofer, and Bobby Canavale also star in Mr. Robot. There is no word on when season four will premiere.